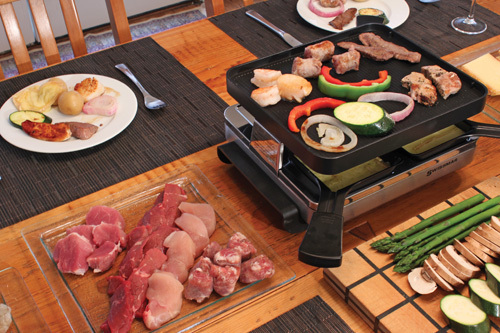 The Swissmar Raclette Party Grill is heated by a 1200 watt element, which simultaneously cooks the food on the top grill, and melts cheese on the trays below. The grill is incredibly simple to use...and very quick to clean. Getting started is as easy as taking it out of the box and plugging it in. You'll have delicious plates of food for you and your guests to enjoy before you know it!